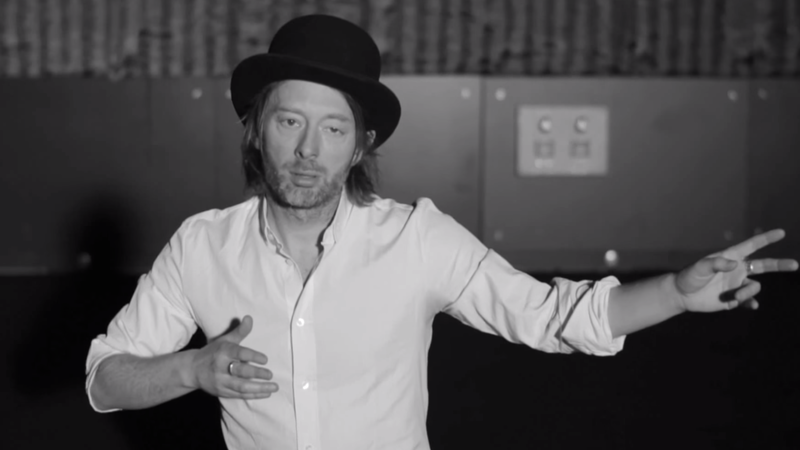 Radiohead‘s Thom Yorke has written a letter to Santa, asking old Saint Nick to stiff oil company executives and their bribe taking politician mates this year with no presents. I guess giving them coal would just be self defeating though. Part of Letters of Noel, a project put together by Letters of Note live spin-off Letters Live, Yorke’s yuletide missive isn’t the only celebrity letter to Santa, with NME set to debut Pulp singer/songwriter Jarvis Cocker‘s letter to Santa tomorrow, while Benedict Cumberbatch’s letter also joined Yorke’s yesterday. That’s all just preamble though, with the letter not taking long before Yorke starts bargaining with the jolly Mr Claus, calling in his “last remaining credit” with the man in red for just a few requests. What a sweet man he is. Read the full text of the letter here below.